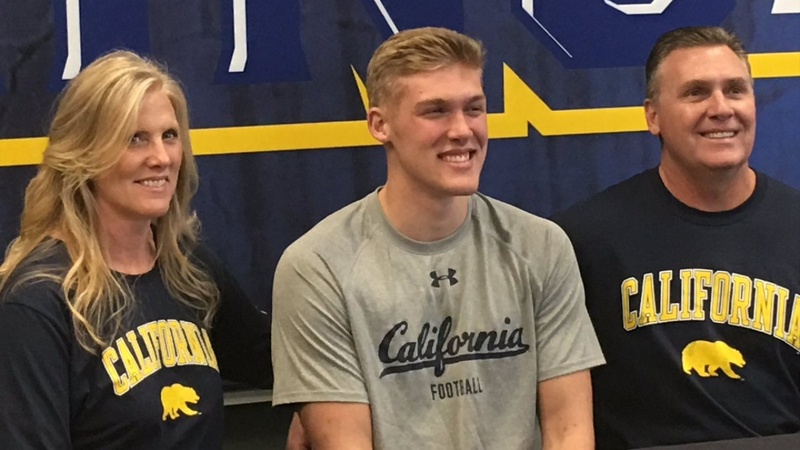 McCallan Castles‍ always dreamed of playing for the Golden Bears. He just didn't know he would be playing football. "When I was younger, I always thought I'd be going to Cal for basketball," said the multi-sport star. "To go for football is pretty crazy. I can't wait. I'm looking forward to it." 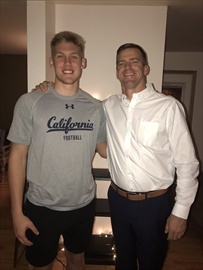 A four-star tight end at South Tahoe High School (South Lake Tahoe, CA), Castles earned first team all-conference honors in football, basketball, and track and field. "Have you watched him play basketball? This guy is like a windmill dunker, shooting threes," Cal head coach Justin Wilcox marveled. "He's a really talented athlete." "I compare him to another kid I saw in high school who plays in the NFL, (Dolphins tight end) Julius Thomas," added South Tahoe head football coach Louis Franklin. "Both were basketball guys coming into high school and ended up being football guys down the road. I just think McCallan is so much more athletic and physical in high school than Julius was." 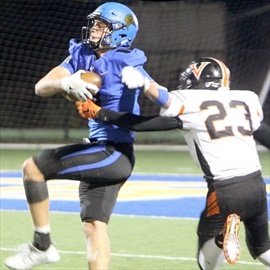 Over his final two seasons at South Tahoe, Castles made 102 receptions for 2,027 yards and 27 touchdowns. At 6-foot-5, he has ideal size for a tight end, and his speed and explosiveness make him a matchup nightmare. "Linebackers and safeties are going to have fits with him," said Franklin. "If you put a corner on him, you might as well just throw a screen over his way because he's so explosive and physical. SEC coaches were calling and asking if they should offer him, because of the level of athleticism he has." Added Wilcox: "He's still got to develop physically, but the way he can catch the ball, what he can do with it after he catches it, and then the range - when it's third-and-7 and you need a completion for a first down, you can throw it out there and he can go catch it. Or when you get down in the red zone, you put it up near the goal post and he can go up and catch it. We're really excited about McCallan." Castles will have a massive cheering section when he takes the field at Memorial Stadium in Berkeley. "Cal was always his dream school," said Franklin. "So when that offer happened, we pretty much knew he was going there." Castles has thrived off the field too, performing well in the classroom and his community. "You're just getting a great human being," said Franklin. "I'm a special education teacher for severely handicapped students. He comes in my classroom every day. He communicates with kids who can't communicate. He has great patience for kids with extreme needs. He goes above and beyond in the community he's new to. He helps coach my ten-year-old son's basketball team and he helped this year with a new flag football league. He's just such a good kid and a great role model for the community, my son, and others here."